Blurb: After Sam's father is hospitalised, she has to move from New York to Salem with her stepmother, Vivian. Unfortunately, Sam is related to Cotton Mather, one of the men responsible for the Salem Witch Trials, and to say she feels unwelcome in Salem is an understatement... She is particularly unnerved by The Descendants, a mysterious and tight-knit group of girls related to those persecuted in the Trials. At the same time, she must deal with Elijah, the handsome but angry ghost who has appeared in her house, and her new neighbour Jaxon only complicates things further. 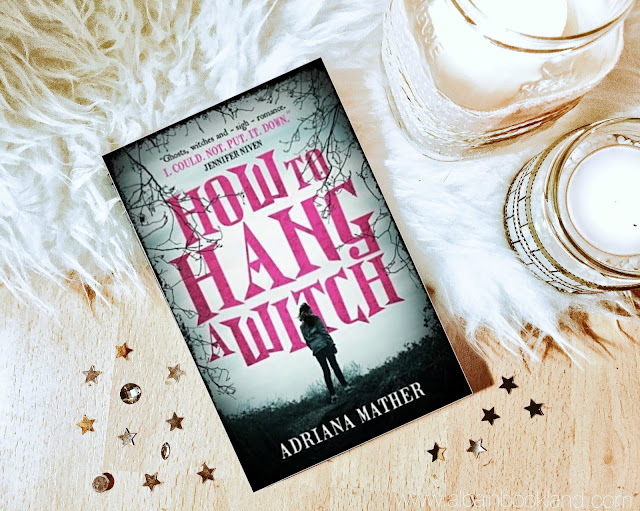 Review: I love stories based in real historical events with a twist and How to Hang a Witch definitely has several unexpected twists. Sam Mather is the descendant of one of the men responsible for the Salem Witch Trials and although the story is set in current times, the memories and consequences of the trials are very much still alive in Salem. As soon as Sam lands in Salem, accidents start happening and the town is pretty sure that she is the one behind them. Sam suspects something bigger and darker is going on and with the help of the most unexpected friends, she is determined to solve the mystery. As we follow her around Salem and its history we learn a lot about the trials and the mass hysteria that caused them. I found this more historical plot really interesting and it picked my curiosity to read more about that era. The story had a really strong start, which caught my attention immediately. It did slow the pace a bit after a few chapters, as a more romantic subplot was introduced. I found this subplot a bit silly but it did complement pretty well the darker and more intense main plot, so I ended up enjoying it too. And I have to say that Elijah, the ghost Sam meets in her house, grew on me as the story progressed and we knew more about him and his past. I've seen that there is a follow-up to this story (involving The Titanic!) and I'm definitely going to get that one asap as I cannot wait to see what adventures await for Sam. 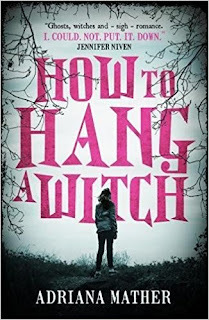 All in all, How to Hang a Witch is an interesting story with a few darker bits, lots of tension and several surprises.